We only opened our Lettings Department in January this month, with Steph Westwell heading up this side of the business. Steph is not only another local lady, but brings with her lots of experience in this field and plenty of energy and enthusiasm. 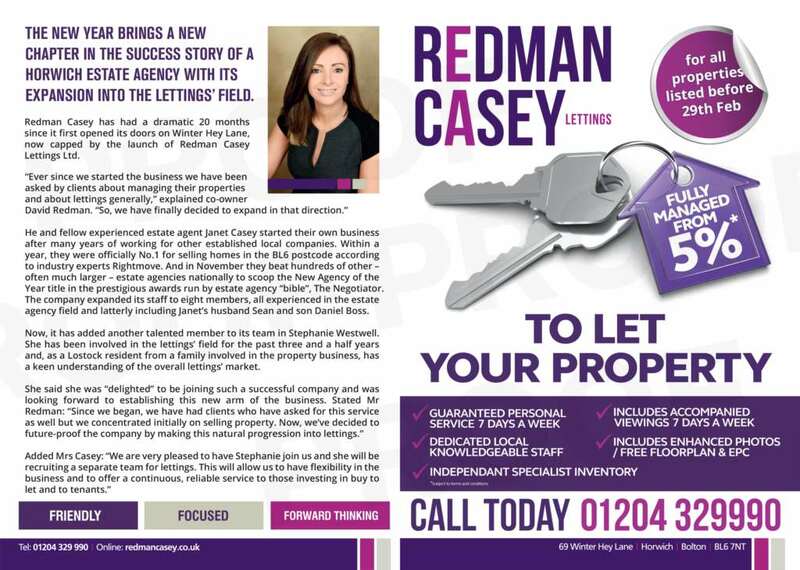 We`ve some great advertising going out locally and a great opening offer to tempt landlords our way.